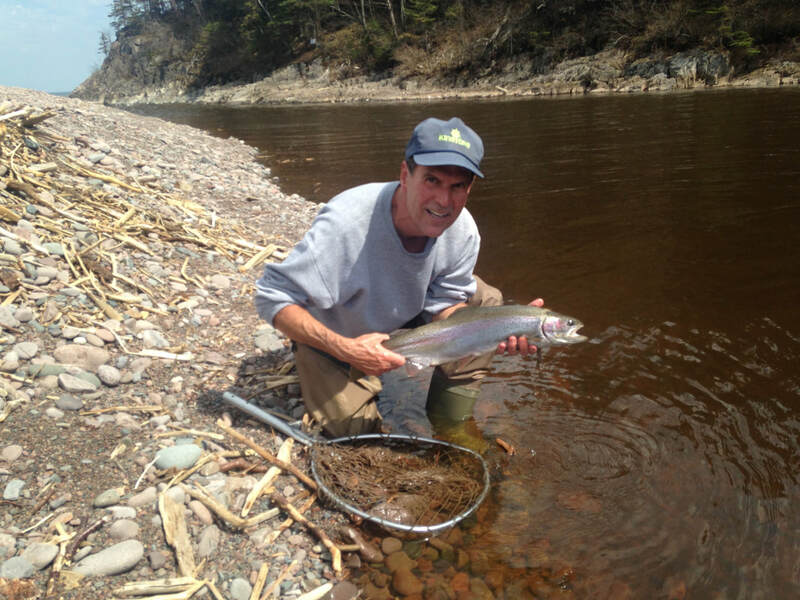 Each spring as the North Shore rivers warm, a host of fish species gather at stream mouths where the warm river water mingles with the cold blue liquid of the big lake. Beautiful Kamloops rainbows, wild steelhead, the occasional lake trout, coho salmon, coaster brook trout, and large toothy line breaking northern pike can all be found when conditions are right. This menagerie of fish all have one thing in common, they are drawn to and held in the warming water to feed. This will be the best time to fly fish with both single hand and two-handed rods. Swinging and stripping lightly weighted flys with floating or sink tip lines will be the prime tactic. Big streamers or clousers along with smaller buggy patterns will all work when placed in front of a fish in the right mood. Best trip is an evening start to get the feel of casting with the following day an early morning outing. This Trip is counted as one day. This is my favorite trip to guide. 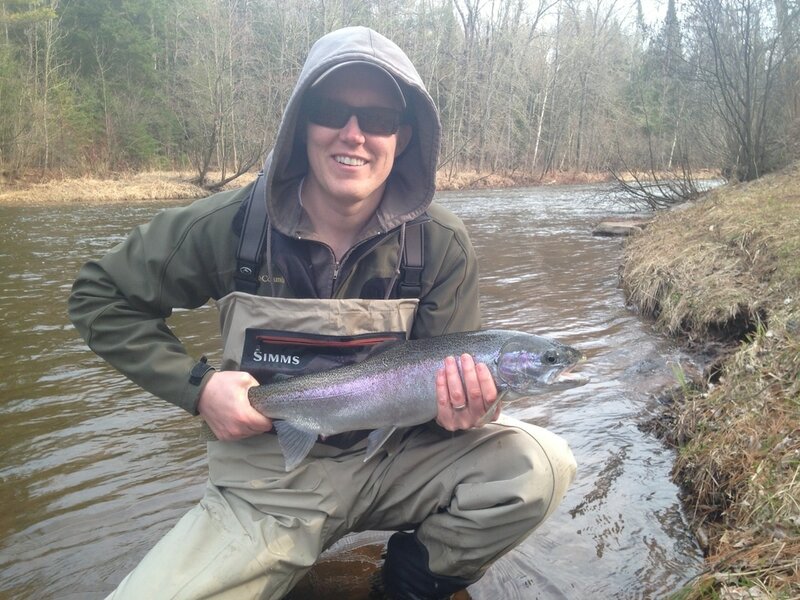 Wisconsin Brule River Steelhead trips offered are limited to April early May and October targeting moving fish. I don’t believe in harassing fish on spawning beds. I do straight-up fly fishing, no indicators or slinkys, if you find that hard to understand read about me. The only tricks, do-dads, and comprimises I use will be on your fly. I'll teach you how to catch steelhead swinging flies. If you feel that you must use a bobber and split-shot or a slinky I'm not the guide for you because I'd want you to put mono and a spawn bag on as well. A special lunch will always be provided at the Brule for full day trips. The Brule is my favorite river. For reservations and information on trips call Paul at 218-340-4605, for all trips a $100 deposit will be needed to hold reservations with the balance due the day of the trip. This deposit is fully refundable if weather/water conditions make fishing trips not possible and an alternate date cannot be made. If you have to cancel due to personal reasons a refund will be made if I am notified at least 24 hours in advance of the scheduled meet time. I will keep in close contact with all customers prior to trips as coordination is essential due to weather conditions. Note, some rain and often makes for the most memorable fishing trips. Torrential rain and floods are the spoilers. All day means all day, (with a midday break) the best fishing is early morning and evening. Half day means morning or evening for no more than 5 hours. your own lunch or we’ll hit one of the areas wonderful restaurants. Rods and flies are provided. 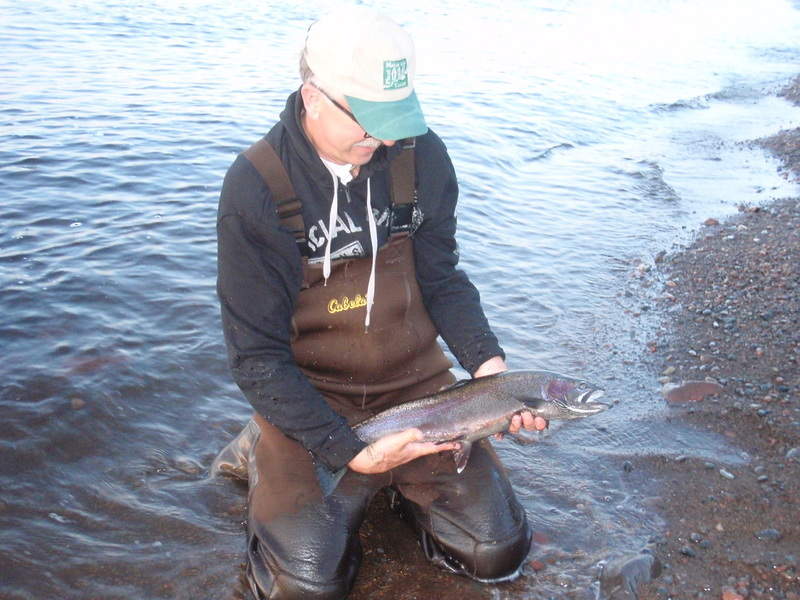 All Brule trips require the participants to have chest waders with felt or steel studded bottoms. 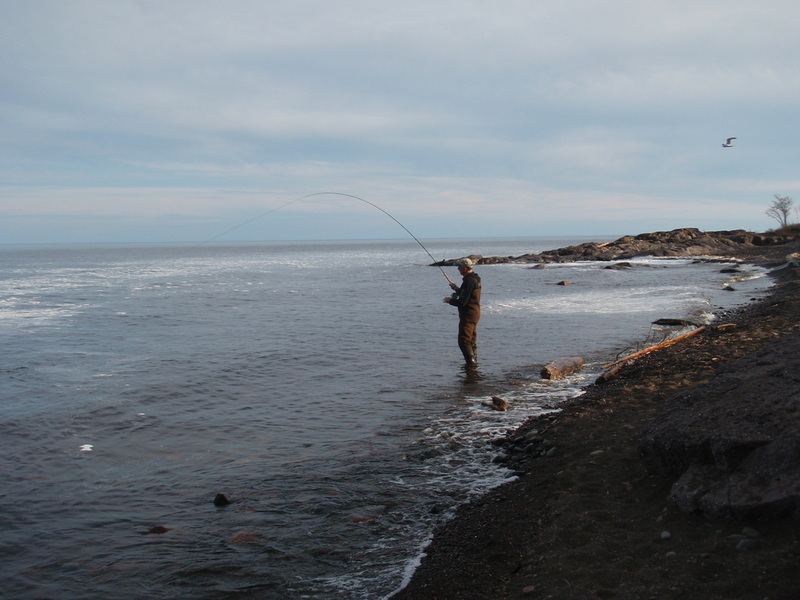 Neoprene waders are OK for Coastal Fly Fishing, breathable lightweight waders are recommended for the Brule. Note: Kids between the ages of 11 and 16 fish for free when accompanied by their Parent or Guardian as the trip will be counted as a single. Kids younger than age 11 are not recommended. All trips are limited to no more than two people.